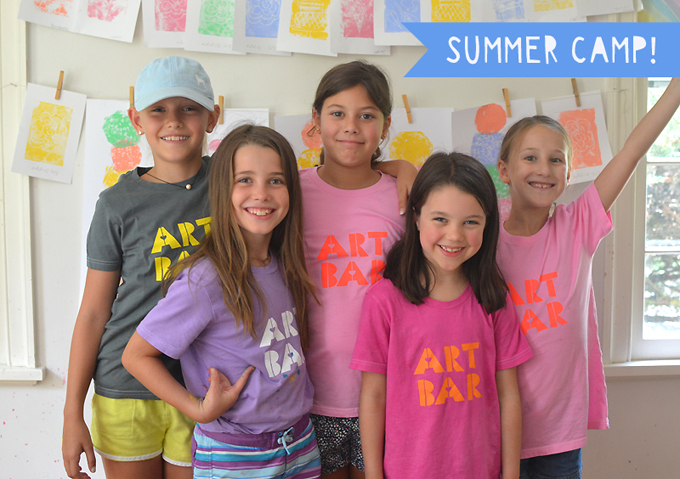 Art Bar is an art studio for children in New Canaan, Connecticut, providing them with authentic opportunities to make and create. In a sunny and light filled space, creative minds are encouraged to express their ideas and interests. Through the process of exploring materials, building skills, making mistakes, and envisioning solutions, your child will be taught to work and think like an artist. Whether painting, gluing, building or stitching, they will use their hands and their hearts to create art that is unique and meaningful to them. In art class, there is no right or wrong. Exploration and personal expression are encouraged through open-ended workshops, and children learn to speak about their art and the art of their peers in a positive, encouraging, and thought-provoking way. 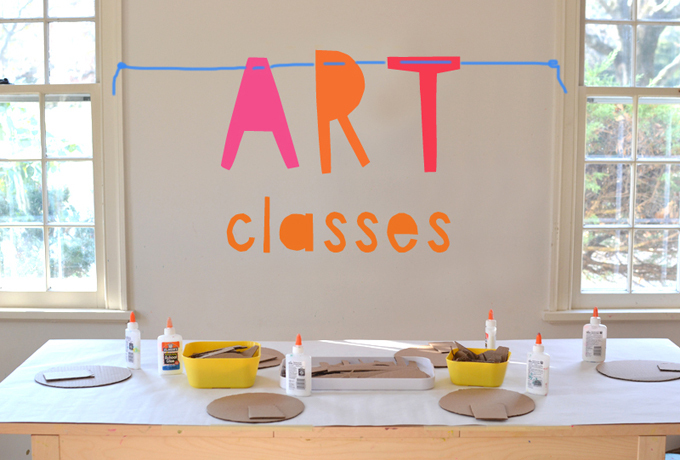 Art Bar is offering a summer of Mini Maker workshops for children ages three to twelve. Each week, the Mini Makers will explore all types of materials – such as wood, oil pastels, recycled material, clay, fabric, and more – in a nurturing environment where the emphasis will be on artistic expression. For preschoolers, the art projects will be open-ended and will include sensory experiences and creative play. For older kids, projects will range from open-ended process art experiences, to learning techniques like printmaking and papermaking, to making a range of crafts like paper-mâché animals, paper flowers, nature mobiles, and garlands. There will be time every day for the children to explore their own good ideas with whatever materials they choose, creating authentic art. After a week of art camp, your Mini Maker will come away with new skills and an emerging creative language. I do birthday parties, too! I come to your home, I set up everything and provide the children an hour or more of arts and crafts. I have lots of good ideas for all ages, starting at age four, even teens! Click here to read more about how it works and a list of all the different art projects to choose from. 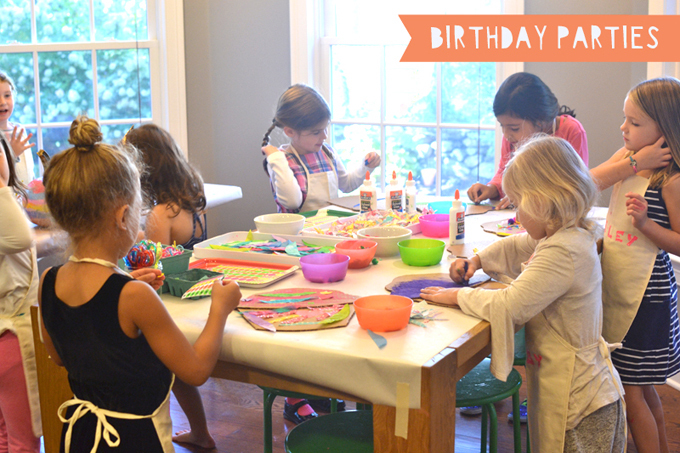 To see photos of what we do at birthday parties, follow my hashtag #artbarbirthdayparties on Instagram. Have you always wanted to host a ladies (or couples) craft night in your home and make something creative? Or how about getting your teen and her friends together to make some art? 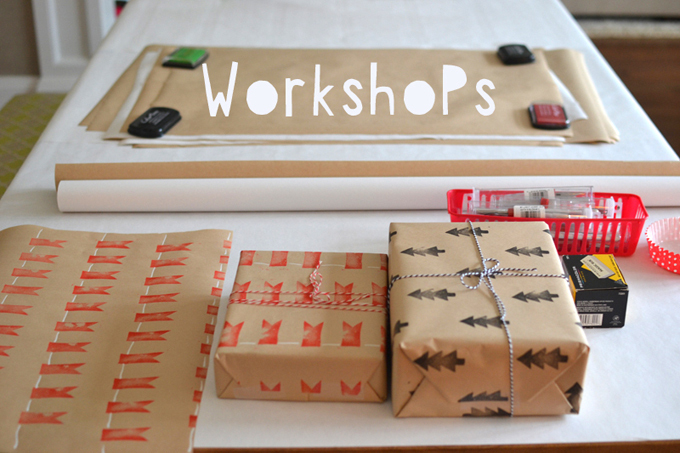 Or a mother/daughter or mother/son workshop? I love putting together an art-filled afternoon or evening for you and your friends, it’s one of my favorite things to do. Click here to read more about how it works and a list of ideas.